Happy Friday! How was your Thanksgiving?? I'm officially cleaning out ALL the leftovers tonight. Yes, gross, I know, they've been in there for a week. Anyways! I wanted to update you on a DIY Workshop I'm doing at the Hester Street Fair on Sunday, December 9th at 12pm and 5pm! Y'all come on!! 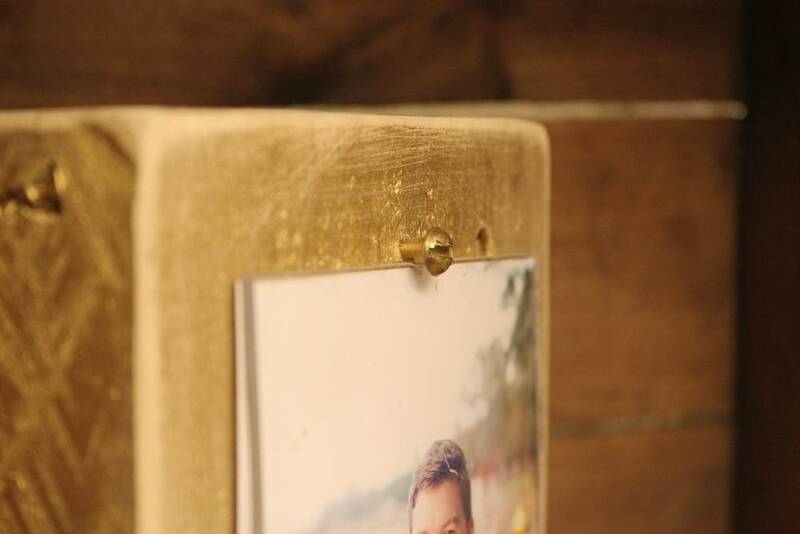 I'll show you how to make DIY rustic frames, which coincidentally, are great for holiday gifts! I'll provide the materials (we're talking FREE people), you just need to show up! Here are a few simple examples I have at home . . .
That plexi is looking a little wonky. Don't look too close! These are SUPER simple versions of the project. At the workshop, I'll show you how to spruce them up by adding chalkboard plaques and patterns galore. Holler with any questions - really hope that I'm not the only one there to see you there!